Clerk's Booking has many advantages for your hotel, we invite you to learn what and make the most of it! Best thing about Clerk's Booking is that it is fully integrated with Clerk account dashboard! This means that when a customer makes a reservation directly to your web site, all data is automatically entered and detailed. Stop wasting your time with emails and having to enter reservations manually ... 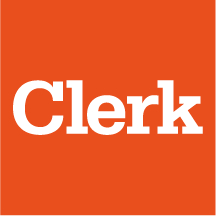 Clerk does it all for you. When making reservations through the Booking engine, your client and yourself won't pay any commission. There is no commissions charged because no transaction is made and because here in Clerk we think that this service should be free for all our users. Receiving the details of the booking will comfort your client in what he booked and pays. Warns him that the reservation still needs to be confirmed and awaiting for payment. Also, don't forget to add policies on how they can make a payment by sending them on all notifications email. Know more about it here. *** If you wish you can also setup a payment mode directly on your booking engine.